Insider Trading Charges Dropped Against Former SAC Official, 6 Others : The Two-Way An appeals court ruling last year raised the bar for proving insider cases. U.S. officials have dropped insider trading charges against former hedge fund manager Michael Steinberg, after an appeals court ruling struck down convictions in a related case. Prosecutors also dropped charges against six cooperating witnesses who had pleaded guilty in the same case. U.S. Attorney Preet Bharara said in a statement that the charges against the witnesses "would no longer be in the interest of justice." Today's decision blows a big hole in the government's high-profile investigation of insider trading on Wall Street. Steinberg, a top official at SAC Capital, was convicted in 2013 and sentenced to three and a half years in prison. But last year, the 2nd U.S. Circuit Court of Appeals struck down the convictions of hedge fund managers Todd Newman and Anthony Chiasson, ruling that prosecutors had overreached in their case against the men. Newman and Chiasson traded on the basis of inside information about technology company earnings. But the court ruled that the insiders who originally passed on the information hadn't received any personal benefit for doing so. Such a conviction requires "proof of a meaningfully close personal relationship that generates an exchange that is objective, consequential and represents at least a potential gain of a pecuniary or similarly valuable nature," the court said. The court said "the government must also prove that the defendants — in this case, several steps removed from the initial disclosure — knew they were trading on information of this sort." "These prosecutions were all undertaken in good faith reliance on what this office and others, including able defense counsel for all those who pled guilty, understood to be the well-settled law before Newman." Bharara said the ruling would make it much harder to pursue insider trading cases, and was a "potential bonanza for friends and family of rich people with access to material nonpublic information." "Michael Steinberg did not commit any crime and is an innocent man. We hope that his vindication will receive as much attention as his wrongful prosecution." "We are pleased that the ordeal for Mike Steinberg and his family is over," said Mark Herr, a spokesman for Point72 Asset Management, the company formerly known as SAC. 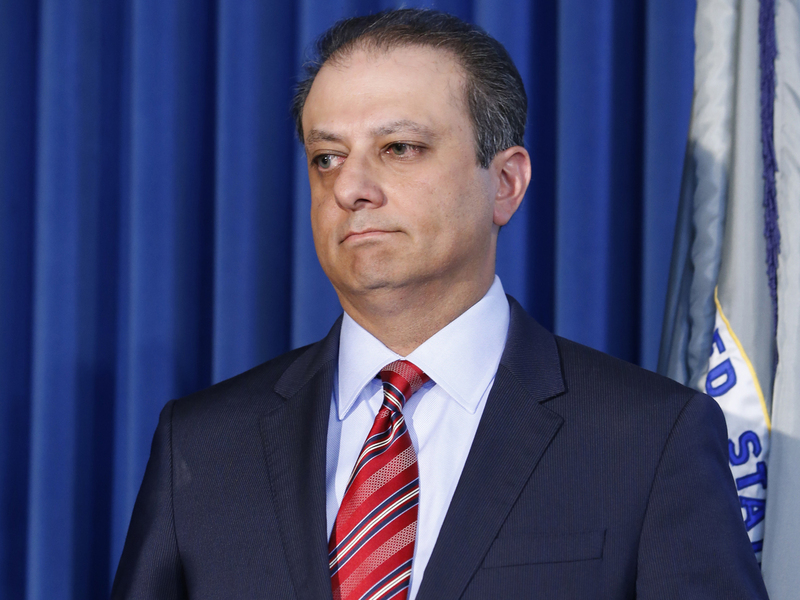 Roland Riopelle, the attorney for one of the cooperating witnesses, Danny Kuo, said Bharara "chose to do the right thing, even if doing so was not the politically easy thing to do. With this matter behind him, Mr. Kuo looks forward to getting on with the rest of his life." The other witnesses were Spyridon Adondakis, Sandeep Goyal, Jon Horvath, Hyung Lim and Jesse Tortora.